"This is why we're here, because this little gray rock sells for twenty million a kilo." Twenty million a kilo vs. over a billion at the box office - you better believe it - James Cameron's latest, Avatar truly is worth it's weight in gold. Personally I've handed over the dinero, and chucked on the 3D specs three times now, with each visit blowing my mind in a different way. Now the brainstorms have quelled, I can finally say without doubt, this is the kind of film cinema was created for. The biggest thumbs up of all goes to James Cameron for having the cojones to not only pull off something so epic, but also in keeping the trailers for the film so vague. This move let's us share the common bond with paraplegic marine Jake Sully (Sam Worthington), of touching down on the planet Pandora, as he quickly becomes embroiled in a plot to move the native Na'vi people from their tribal lands, so that the earth can reap it's benefits. 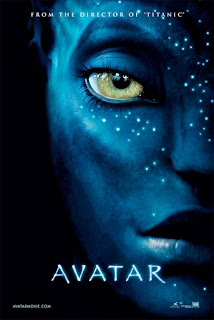 But to Sully, the Na'vi aren't what they seemed, and that leads him to realise that neither is he. Everything on Pandora has been imagined with fresh eyes; from the plant life, to the animals that roam the jungles, and the birds that sweep the skies. While CGI has become a terror of recent cinema, here it is truly breathtaking, and done with such realism, the kids in front on my last visit kept trying to touch the dandelion like seeds, that fill the sky in certain scenes. 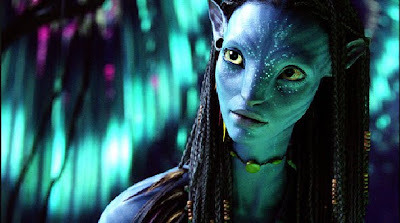 The binding philosophy behind the Na'vi is as beautiful as the world around it, and while sci-fi movie queen Sigourney Weaver has the acting chops to anchor the ship, it is fellow Vantage Point actress Zoe Saldana who stands out as Sully's guide to the ways of her people, Neytiri. Avatar is the dawn of a new era, and years from now I have no doubt people will talk of it like they do about how War Of The Worlds first aired on the radio, when Dorothy first stepped out on her journey to find The Wizard Of Oz, or how the empires battleship came over top of you at the start of Star Wars. Social, political, romantic, dramatic, creative, there are many threads that weave themselves into this film, but the tapestry it creates is one you will not soon forget.